Major Pauline Cushman lived a life full of adventure and travel. She spent the majority of her life pursuing a career as an actress. In 1863, during the Civil War, she was presented with the greatest acting role of her life. 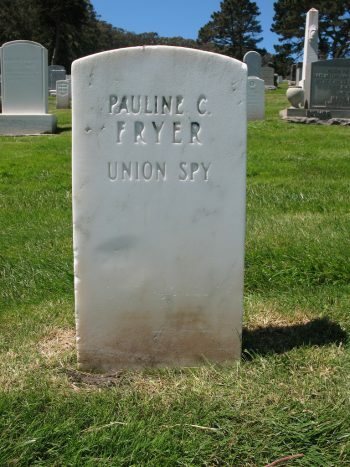 She became a spy for the Union. She was born as Harriett Wood in New Orleans on June 10, 1833. Her family moved to Michigan when she was a young girl. Cushman never enjoyed living in the mid-West and desired to live in the big city. When she was just 17 years old, she left her family and moved to New York City to pursue a career in theater. She quickly found acting jobs in the city and took the stage name Pauline Cushman. After a few years there, she met a musician named Charles Dickinson. The two married in February 1853 and later moved to Cleveland, Ohio. They had two children, Charles and Ida, before Charles Dickinson enlisted in the 41st Ohio Infantry in 1861. Charles Dickinson only spent about 9 months in the Army before being discharged. He returned home extremely sick, suffering from dysentery. Cushman struggled to care for both him and their two young children and moved in with Dickenson’s father. Dickinson’s health continued to rapidly decline. He died 6 months later in December 1862. To the protest of her late husband’s family, Cushman returned to acting following her husband’s death. She left her children in the care of the family in Cleveland and traveled to Louisville, Kentucky. Kentucky was a hotbed of dissent during the war. Internal division within the state between Unionists and Confederate supporters was tense and often broke out in violence. Within that tension, Cushman stumbled upon the opportunity of a lifetime. One evening, after a stage performance, a group of Confederate supporters approached Cushman. They offered her $350 to make a toast to Confederate President Jefferson Davis in lieu of President Lincoln during her next performance. She accepted the proposal and took the money, but reported the bribe to Union authorities. To her surprise, the Union authorities told her to oblige the group and make the toast. They believed that doing so would allow Cushman to get closer to the inner circles of the Confederate dissenters. The following evening, Cushman made the toast during her performance. 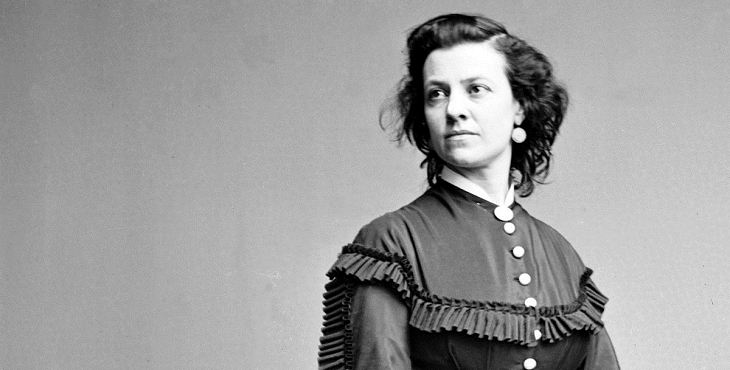 Though the action cost her job at the theater, it earned the trust of the Confederate group. Impressed by her apparent loyalty to the Confederate President, the group quickly introduced Cushman to the inner circles. Her career as a Union spy had officially begun. 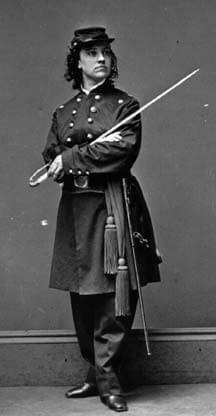 Photograph of Major Pauline Cushman Fryer in her officer’s uniform. Cushman traveled to Tennessee acting as a supporter for the Confederacy. Overtime, she began to fraternize with Confederate military leaders. When she did, she would steal information and secrets about the Confederate Army and pass them to the Union. 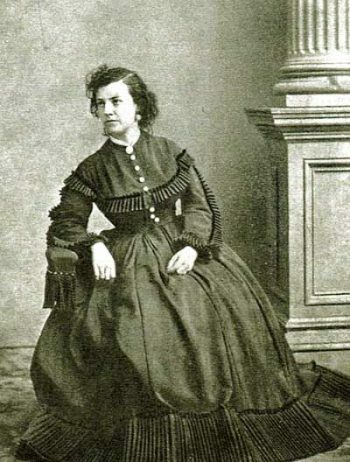 Her contacts in the Union Army warned her of the risks and tried to convince her not to physically steal any documents. Instead, she was encouraged to only study information and pass it on based on memory alone. Cushman ignored these precautions. In the spring of 1863, Cushman stole a map that contained the whereabouts of the Army of Tennessee and stuffed it into her boot. While attempting to cross into Union lines, some Confederate soldiers grew suspicious of her travels and stopped her. They discovered the map in her boot, arrested her, and took her to Confederate General Braxton Bragg’s headquarters where Bragg had her tried as a spy. The trial found Cushman guilty and sentenced her to death by hanging. However, Cushman experienced a string of luck in the days following the verdict. While awaiting execution she fell ill. Though falling ill may not normally be considered lucky, this illness saved Cushman’s life. Her sudden illness forced the Confederates to delay the execution. As they waited for her to recover, the Union Army began to advance towards Confederate positions where they held Cushman. The Confederate Army decided to withdraw from the area, leaving Cushman behind with a local doctor. When the Union lines reached Cushman, they rescued her just days before her scheduled execution. Cushman made a full recovery from her illness and returned North. Her bravery and service to the Union was widely recognized. She received public attention and recognition from General Garfield (future U.S. President) and President Lincoln, who awarded her the honorary rank of Brevet Major. It was the adventure of a lifetime, and Cushman spent many years telling her story. She traveled throughout the East, entertaining the fascinated public with her tales. Unfortunately, as time went by so did the people’s interest in the stories of the Civil War. The Reconstruction era proved hard for Cushman to find willing listeners, as the public grew weary of hearing about the war that had ravaged the country. Cushman decided to move to the West, hoping that her stories would resonate better there. But there too, she struggled to hold the public’s interest. She moved to San Francisco for a short time where she married August Fichtner in December 1872. Fichtner died within the year, and Cushman became a widow once more. In 1879, Cushman married Jeremiah Fryer in Arizona. The couple ran a hotel for about ten years, but Cushman struggled with the lifestyle. The two separated in 1890 after the death of their adopted daughter. Cushman then moved back to San Francisco to try acting again. She found little success there and finally accepted that her days of acting were over. 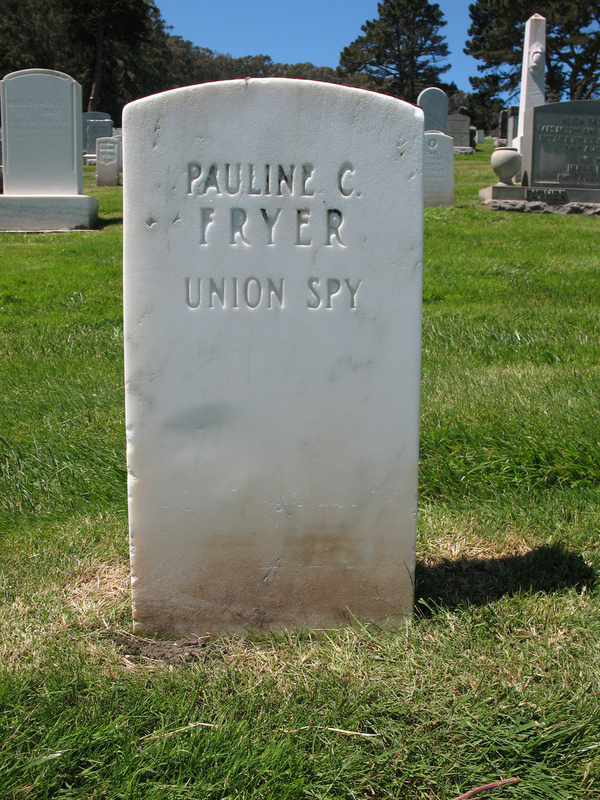 Grave marker for Pauline C. Fryer at San Francisco National Cemetery. Last year, the Veterans Legacy Program partnered with San Francisco State University to conduct research on Veterans buried at local national cemeteries. The students and faculty there created a series of short films about the stories that they discovered at Golden Gate and San Francisco national Cemeteries. Pauline Cushman’s remarkable story is one of them. In recognition of Women’s History Month, please join us in honoring the service and legacy of Major Pauline Cushman-Fryer. Thanks for your wonderful project. Thank You! Thank You! Thank You ! for this program acknowleging our history. This must be taught, shown and published throughout our Country; in schools, colleges Universities and the general public !